The 2nd Fourth Industrial Revolution and Energy Forum was held in the auditorium of POSCO International Center at POSTECH on March 27, 2019. 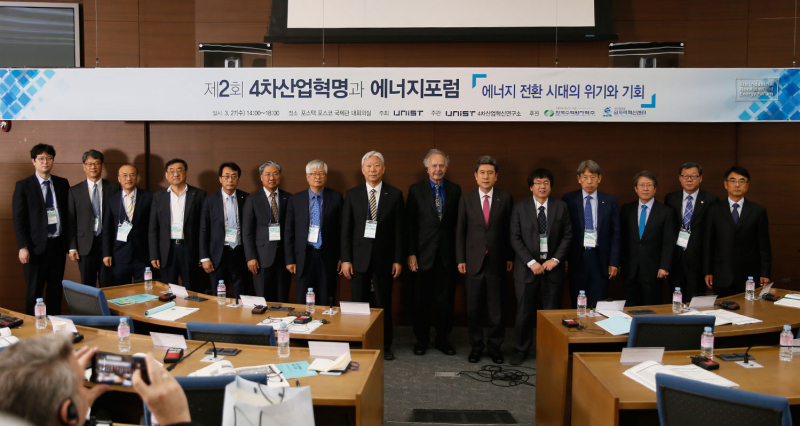 The Haeorum Alliance, which consists of Ulsan, Gyeongju, and Pohang, held a forum on the development of the energy industry in the era of Fourth Industrial Revolution and discussed the needs for change and innovations. 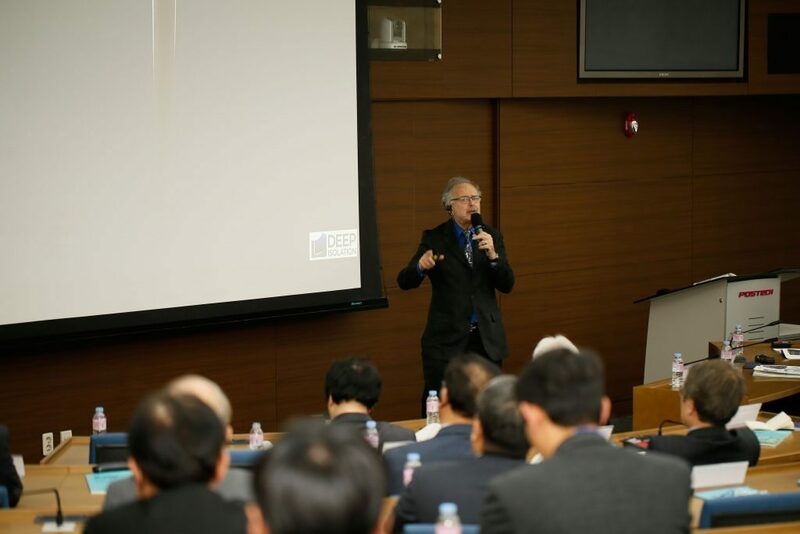 The 2nd Fourth Industrial Revolution and Energy Forum was successfully held in the auditorium of POSCO International Center at POSTECH on March 27, 2019. This year’s theme was “The Crisis and Opportunity of the Energy Transition Era”. Held by the Institute of Fourth Industrial Revolution at UNIST, this meeting was jointly sponsored by Korea Hydro & Nuclear Power Co., Ltd. (KHNP) and Haeorum Alliance Nuclear Innovation Center. The first forum was held last year in Ulsan and returned to Pohang for the second time this year. The third one is scheduled to be held in Gyeongju sometime next year. The primary purpose of this meeting was to break through the crisis of the energy industry and create new growth opportunities through convergence technology of the Fourth Industrial Revolution in the era of energy transformation. The key speaker was Professor Richard Muller from UC Berkeley, presenting under the topic of “Energy Policy for Future Presidents: Especially for Korea.” During the speech, he emphasized that unprofitable energy is squandered energy, thus cannot last. He also questioned the effectiveness of new energy technologies to reduce environmental pollution. The speakers of main session include Chair Professor Il Soon Hwang of UNIST, President Namsung Ahn of KINGS, Professor Hyo Min Kim of UNIST, and Professor Jun-Bom Kim of University of Ulsan. 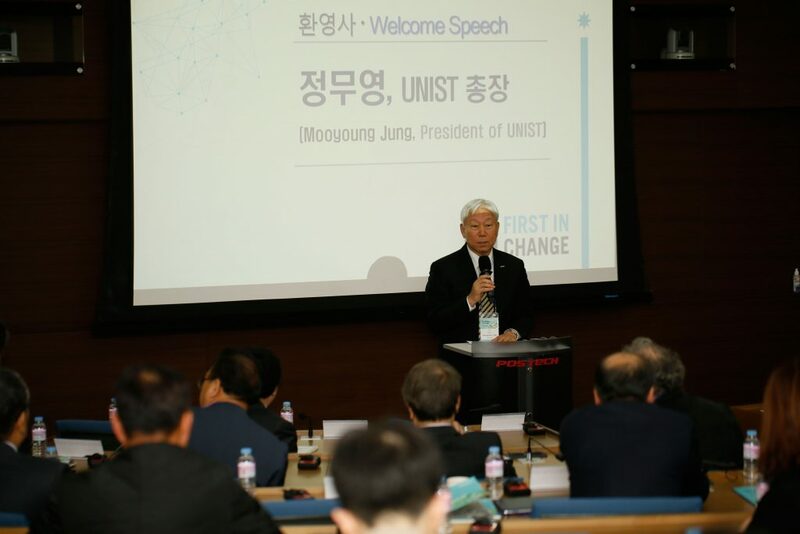 President Mooyoung Jung of UNIST, delivering a welcome speech at the 2nd Fourth Industrial Revolution and Energy Forum on March 27, 2019. The forum consists of welcome addresses, congratulatory addresses, keynote addresses, plenary sessions, and panel discussions. 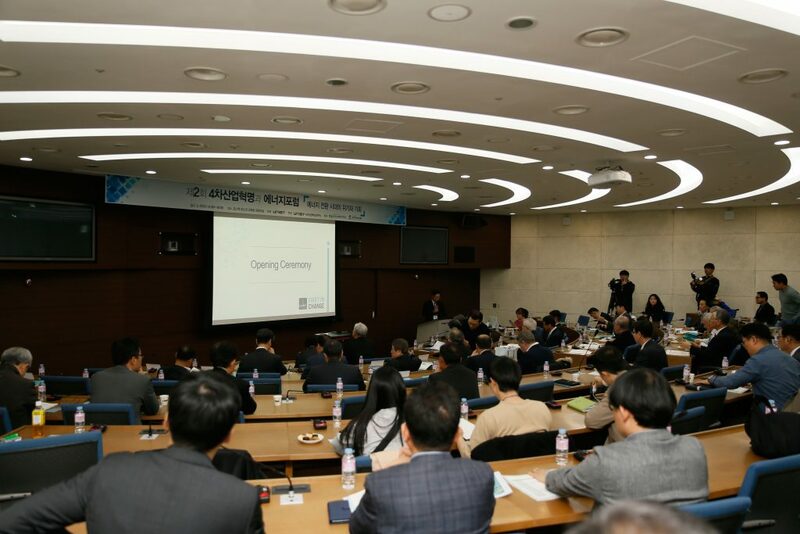 The event has been attended by over 90 guests, including Mayor Kang Deok Lee of Pohang, President Mooyoung Jung of UNIST, President Heung Chang of Handong Global University, Vice President WanKyun Jeong of POSTECH, Executive Vice President Sang-Wook Han of KHNP, and Director In Cheol Bang of UNIST Haeorum Alliance Nuclear Energy Innovation Center, as well as other related key officials.